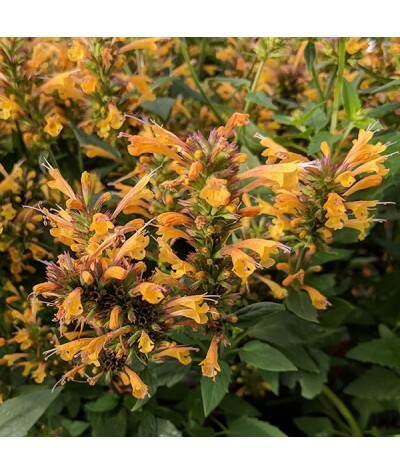 Bushy perennial with deeply toothed leaves and double golden yellow flowers with from mid to late summer. Height and spread to around 45cm x 30cm. Any well drained soil in full sun or very light shade..
Upright stems of bright blue flowers from July to September. Great for cutting and drying as they appear dry when they open. Any well drained soil in sun. ..
Sprays of tiny blue forget-me-not flowers in abundance in spring. 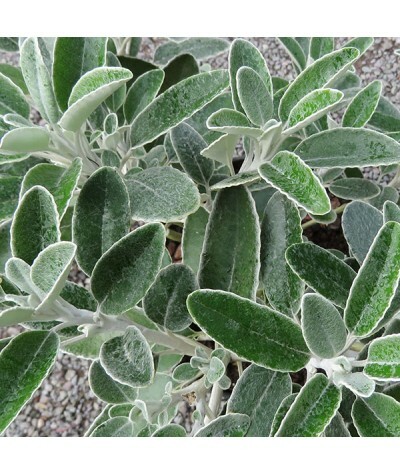 Wonderful silvery/green foliage. Any fertile moist but well drained soil in sun or shade. If location is too sunny the leaves will ..
Part of the dwarf Island series, Samoa has a profusion of pinkish purple daisy flowers with yellow centres from late summer through autumn. Height and spread to around 30cm. Any reasonable soil in sun..
Part of the dwarf Island series, Bahamas has a profusion of soft pink daisy flowers with yellow centres from late summer through autumn. Height and spread to around 30cm. Any reasonable soil in sun or..
White flowers with a blue reverse flourish in dappled shade or a woodland border. 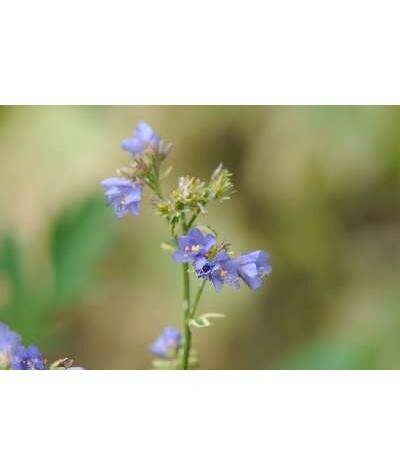 This special plant has a long flowering period and is sure to be popular. Height to around 0.5m. Any so..
Large basal rosettes of scalloped green foliage. In summer, strong upright flower spikes upto 1.5m, tall hold many good sized and very showy double salmon-pink flowers. 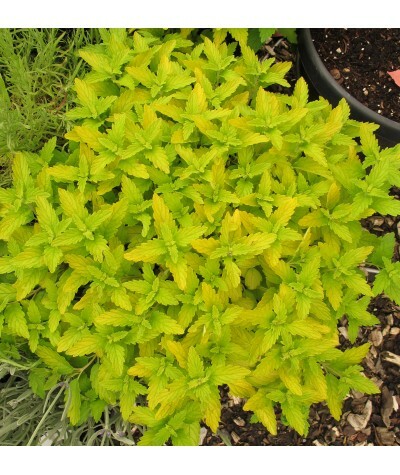 ..
Part of the popular and protected Kudos varieties of hummingbird mint. Aromatic foliage to this lovely upright perennial and spikes to around 70cm tall that hold spires of bright coral pink flowers th..
Red rage Tupelo. 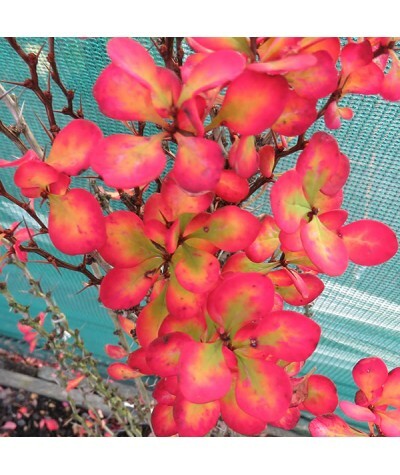 Small upright tree with a pyramidal habit, glossy green leaves and lacquered with bright scarlet colours in autumn. 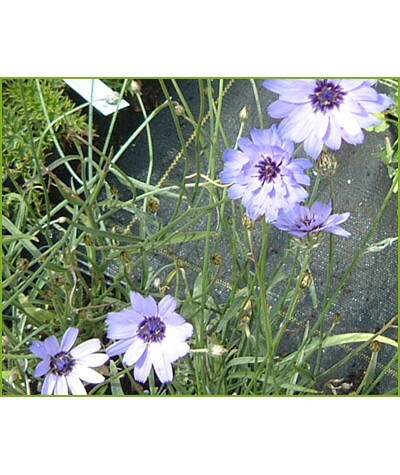 Requires neutral to acid soil and is not drought tolerant. 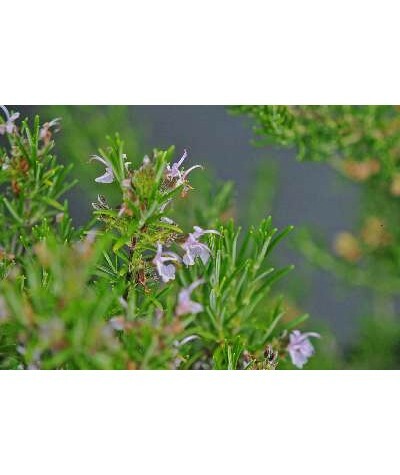 Height a..
Lovely pink flowered rosemary. Any sharply drained soil in sun. Height and spread to around 1m. 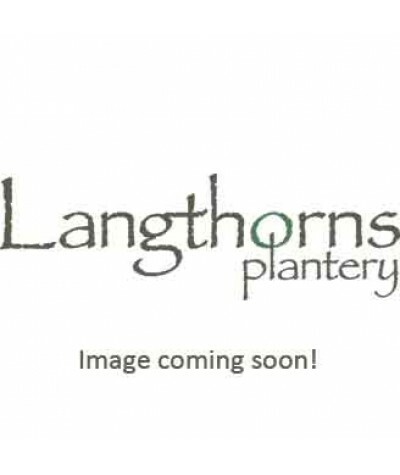 Excellent for hedges, herb gardens and pots. ..
Glaskin's Perpetual is a sweet heritage variety that can be harvested late into the season. The stalks are soft and green tinged and are perfect for tarts, pies and jams. Height and spread to around 6..
Caraway. A beautiful and tasty member of the carrot family. Filigree, ferny green foliage is good chopped up in stews and pasts dishes etc for adding flavour. Many medicinal properties .. 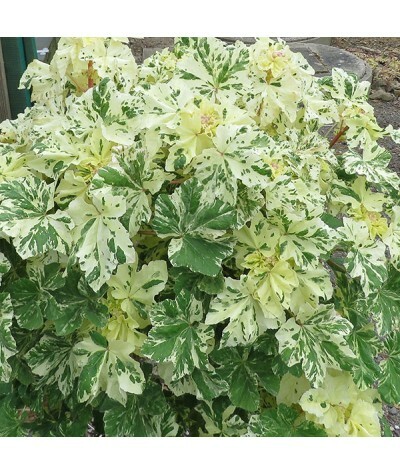 Superb foliage plant with variegated green and cream leaves topped by violet blue flowers in summer. Fertile, well drained soil in sun or shade. Height and spread to around 45cm x 30cm. Choice. ..
Green leaves quickly turn to a deep maroon red that contrast well against the sulphur yellow flowers in April/May. Neat growth. Height 18-24ins (40-60cms). Any soil in sun or light shade. 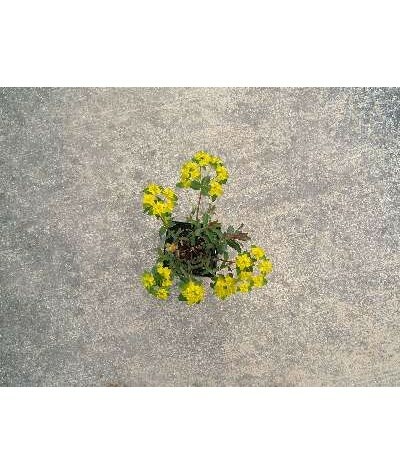 Shear plants.. 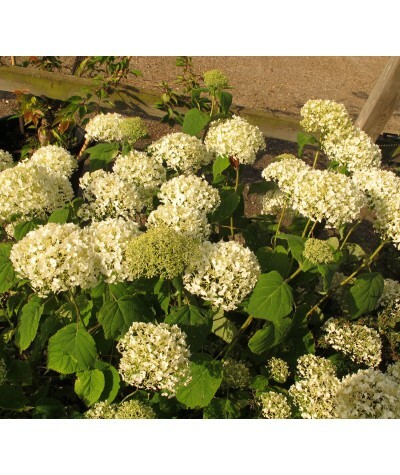 Recently introduced, this Hydrangea is a stronger growing version of Annabelle. Unlike Annabelle the huge white flower heads are supported by stronger stems. The flowers get larger as the plant mat..
Golden yellow leaves in spring tipped red with red young shoots. As the leaves mature they turn green splashed white and pink before turning brilliant fiery colours in the Autumn. Clusters of small..
Large mallow leaves flecked and streaked white. A superb biennial or short lived perennial that looks great through the winter and has masses of purple flowers in summer in its second or third year..
Low carpet forming type of wall cress with waxy green and gold evergtreen leaves. 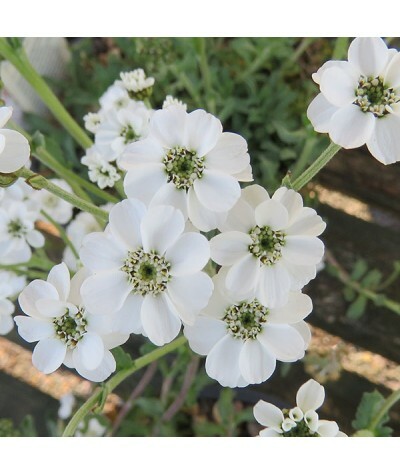 In spring and early summer flower stems to 15cm tall hold heads of white flowers. Drought tolerant once established. 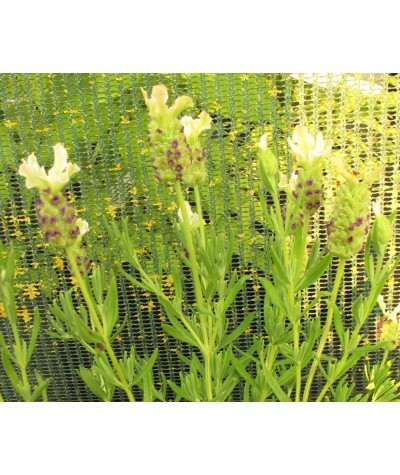 G..
An unusual form of French lavander with scented grey green leaves and a compact habit to around 50cm. Flower spikes in summer have bumble bee heads with dark purple flowers and are topped with green t..
A crackingly good form of french lavender with deep purple flowers and wings often tinged red, all summer long, providing weekly deadheading is performed . Height and spread to around 75cm x 50cm.&nbs..
Gorgeous mid green leaves are edged with gold. 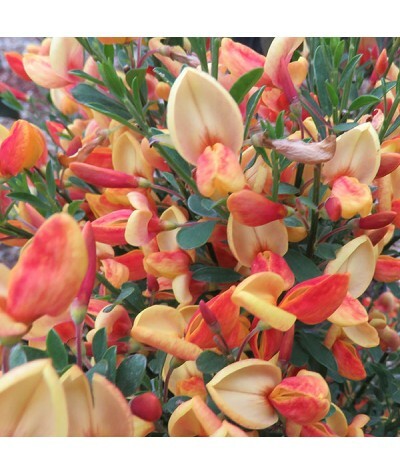 Forms a neat rounded deciduous shrub to around 90cm. It can be kept smaller by pruning in spring. Bears masses of mid blue flowers from august until t..
Greenish yellow leaves with spikes of blue flowers produced in late September. Well drained soil in sun or part shade. Prune to shape in Spring. 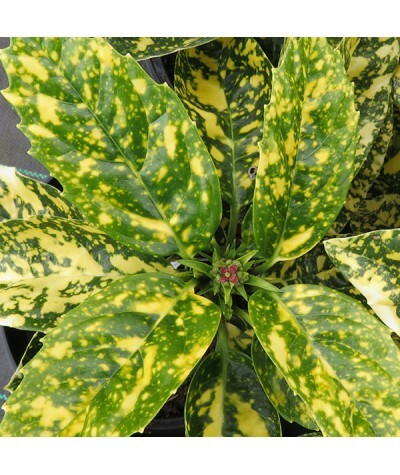 A beautiful foliage shrub in it's own right with the..
An attractive evergreen bush with yellow daisy flowers in early summer above wavy edged silvery leaves. Trim to shape after flowering. Height and spread to around 60cm. ..
Leaves large & boldly spotted and blotched with gold. A useful and resilient evergreen that will grow in sun or shade. 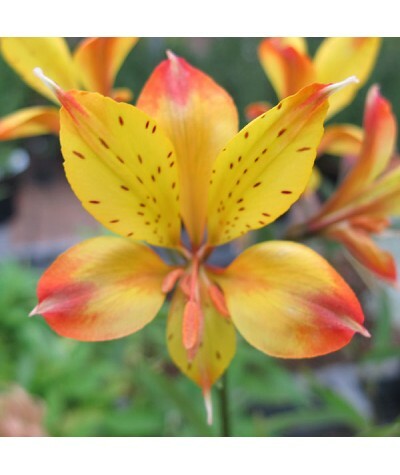 Drought tolerant with a height and spread to around 3m when fully grown.&n..
Sweet Laura has small, fragrant, funnel-shaped lily-like yellow flowers and strong upright stems. Blooming continuously throughout much of the growing season (late spring to late summer). 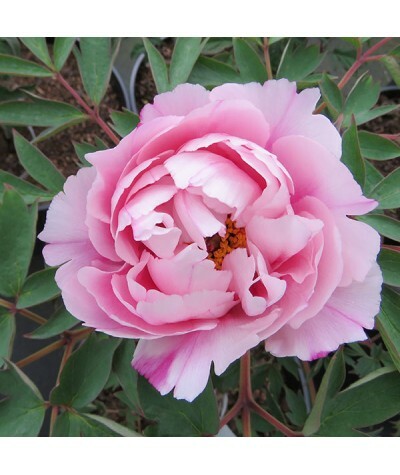 Each flow..
Delicate, deeply serrated soft pink double flowers sway gracefully in the wind in spring and early summer. Grass like lanceolate foliage. This is a compact select form British native wildflower. Grows..
A new addition to the sunset series with large daisy like orange/ centered flowers whose petals are red at the base and yellow at the tips. Flowers throughout the summer into early autumn. Grow .. 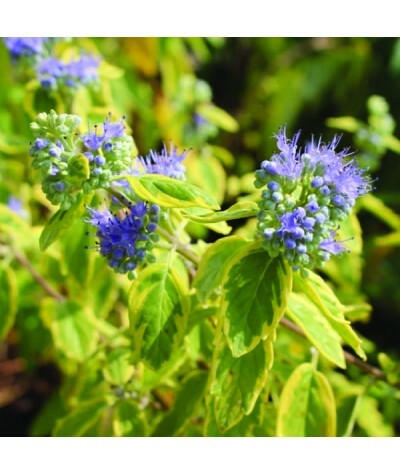 Bold clumps of powdery blue foliage to 3ft (90cm) high by 1.2m wide when mature. White to pale lilac flowers from mid to late summer. A striking hosta for moist soil in sun or shade. ..
A compact Speedwell ideal for near the border edge, in containers and the rock garden. 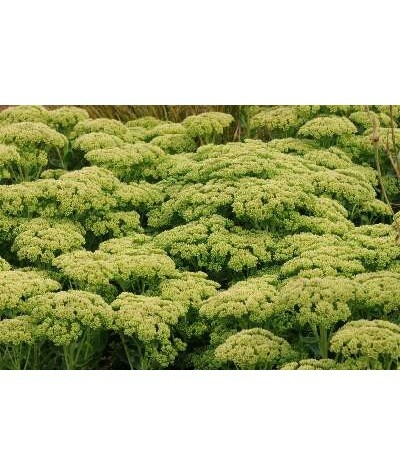 It forms a low mound of attractive deep green foliage, bearing spikes of strong pink flowers starting in late spr..
Fleshy serrated edged green leaves form attractive mounds to around 30cm tall and wide. In late summer large bright red flower heads consisting of many small star shaped red flowers are held above the..
Purple stained stems of grey/green leaves tinted purple. Clusters of star shaped bright red flowers appear in late summer covering the whole plant. Height and spread to around 40cm x 30cm. 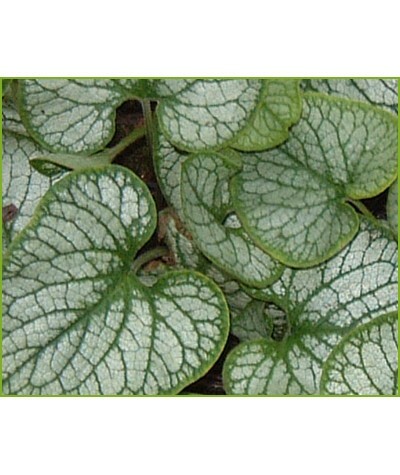 Best in ..
A clump-forming perennial with fleshy glaucous dark green leaves. Flat clusters of star-shaped deep pink flowers in early autumn. Beloved by butterflies and bees. 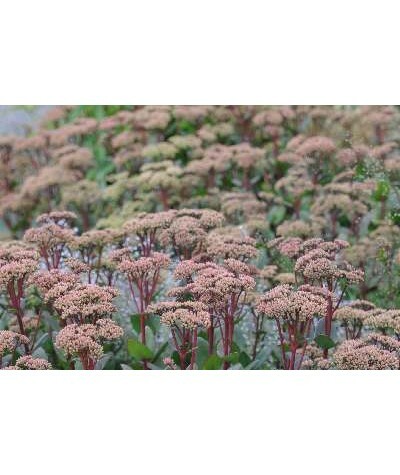 ..
A lovely plant with fleshy dusky green leaves that mature to a dusky dark red. Thousands of star shaped pink flowers form large heads from August to September. Any well drained soil in sun. Hei.. Native cowslip. 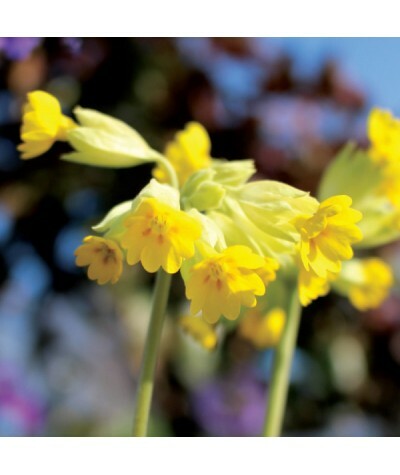 Strong stems hold sweetly scented pale to deep yellow flowers above mid-green leaves. Best in any moist soil in full sun or partial shade. Height 25cm, spread 25cm. Perfect for poll..
Blue, white or pink flowers produced above dark green, divided leaves for a long period through the spring. 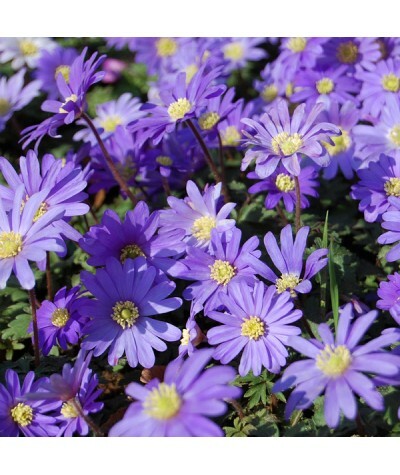 Creates a carpet of blue through the border in sun or shade. Height and spread to around .. Mound forming. Dark green, downy leaves. Short stems hold pure white flowers with beautiful pink veining from late spring through summer. Height and spread to around 8cm x 20cm. Best in well dr..
Large, fragrant, domed flower heads consisting of many lilac star shaped flowers on upright stems to 60cm tall from mid to late summer. Prefers fertile, moist but free draining soil in sun or part sha..
Part of the Sweet Summer seeries bred for disease resistance and vigour. Summer Purple and white has large trusses of scented purple and white flowers from mid to late summer. 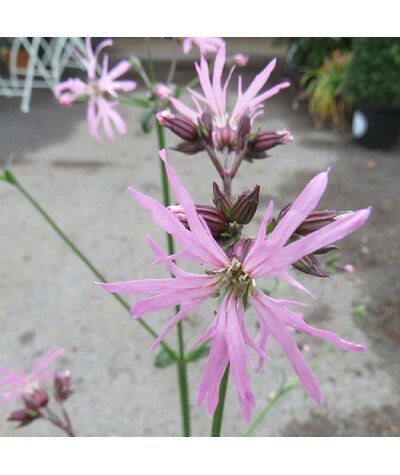 Height and spread to aro..
Large, fragrant, domed flower heads consisting of many pink star shaped flowers on upright stems to 60cm tall from mid to late summer. 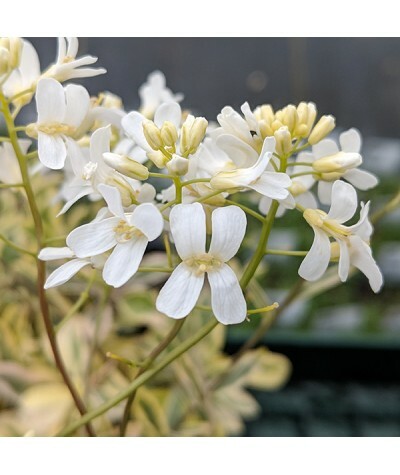 Prefers fertile, moist but free draining soil in sun or part shad..
Large, fragrant, domed flower heads consisting of many star shaped white flowers on upright stems to 60cm tall from mid to late summer. Prefers fertile, moist but free draining soil in sun or part sha.. Attractive scallop shaped mid green leaves forma low mound. Flowers from late spring through the summer with pretty double pink flowers. Lovely in troughs, rockeries, walls or..
Summer flowering, carpet forming, gently creeping alpine hypericum. Bright, star shaped yellow flowers with golden anthers in summer clothe the small green foliage. A lovely rockery alpine for well dr..
Low mats of silver grey foliage. In late spring-early summer glistening white flowers with darker centers cover the plant. A lovely addition to any well drained border or rockery in sun. Height.. Compact habit that has apricot flowers with orange markings and yellow wings in Spring and early summer. Height and spread to around 1-1.2m. Any well drained soil in sun or light shade. Semi evergr.. Perfect as a groundcover, for a well drained spot in sun. 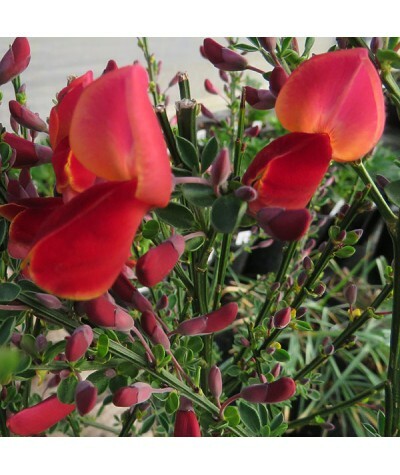 This low mounded variety has leaves that turn crimson red in Autumn and covered in beautiful pink flowers with red veins at the ends of the st..
Bushy shrub with arching branches that are covered in yellow pea like flowers in May and June. These are followed by small, grey green lanceolate leaves. Any well drained soil in sun. Height and sp..
Upright branches with lanceolate grey green leaves are weighed down with pretty cream and cerise pea like flowers in early summer creating a fountain effect. A lovely border plant for a well dr..